Product prices and availability are accurate as of 2019-04-14 23:24:14 EDT and are subject to change. Any price and availability information displayed on http://www.amazon.com/ at the time of purchase will apply to the purchase of this product. Approved to UL standards and CSA approved (115V only). 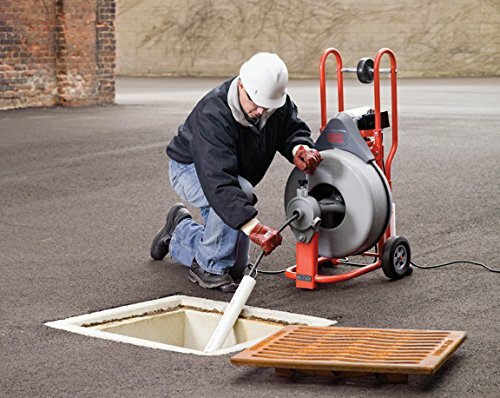 The RIDGID K-750 Drum Machine is a versatile and powerful self-contained drain cleaning tool ideal for lateral lines. Easy to transport with minimal set-up, just attach a tool and go. 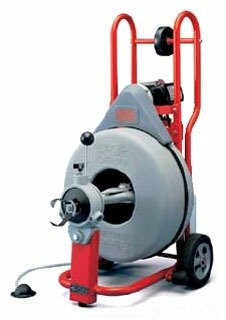 It offers impressive maneuverability with a large handle, heavy duty wheels, and loading wheel making easy to load in and out of the truck/van. Quickly set up and remain stable with the kickstand. 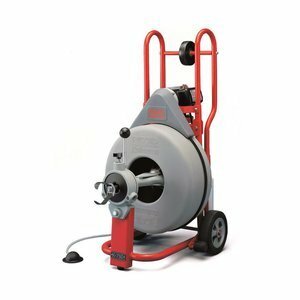 The K-750 is a commercial drain cleaning machine that offers several features to break through heavy-duty blockages such as tree roots. 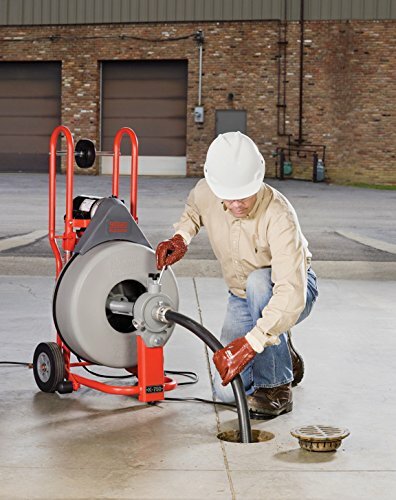 Durable and stable, the K-750 42007 is a great fit for professionals who need to remove blockages from 4-inch to 8-inch lines. 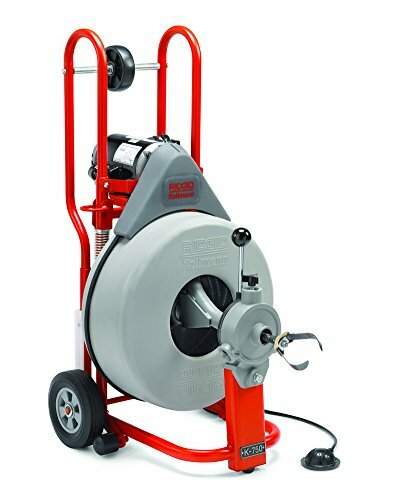 The drain cleaner cable tightens on the inner core to provide extra stiffness under load, delivering power to the cutter. 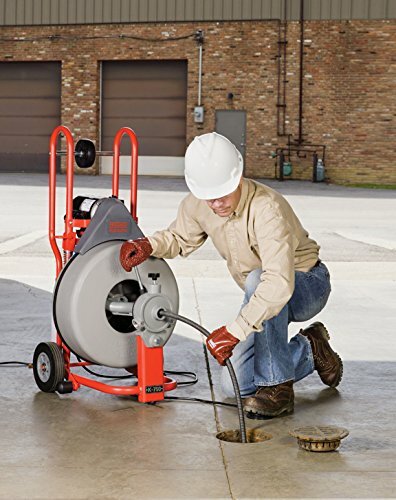 Includes: RIDGID Drum Machine K-750 drain cleaning tool, AUTOFEED with clutch handle, C-100 3/4-inch x 75-foot Inner Core cable, pair of RIDGID work gloves, operator's manual, and 3/4-inch Tool Set that includes: T-406 Spade Cutter blade, T-407 Retrieving Auger, T-411 2-inch (50 mm) Double Cutter, T-413 3-inch (75 mm) Double Cutter, and T-414 4-inch (110 mm) Double Cutter.